Hayao Miazaki is one of my favorite film makers. I love his fantasies and his art work. I love "Spirited Away." 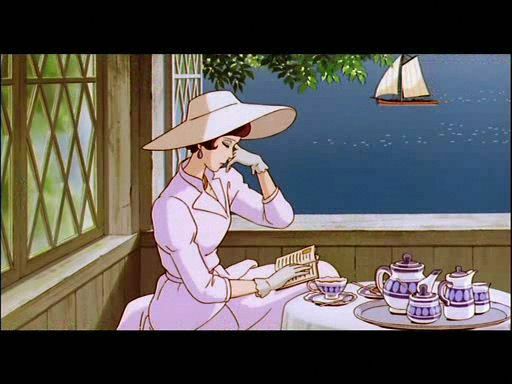 I love "My Neighbor the Totoro," and more. 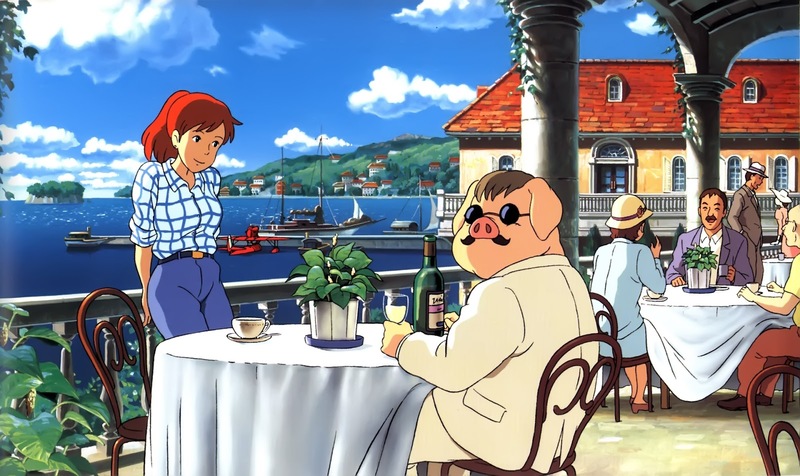 Yesterday we watched "Porco Rosso" about a flying ace who has been cursed and therefore looks like a pig. His vocation is fighting pirates. The scenes with aerial dogfights and other aerial adventures are marvelous. The plot is improbably and wonderful. 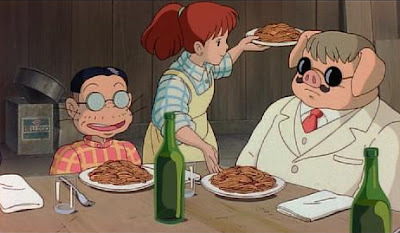 Miyazaki loves to show food scenes -- in this movie, the hero eats several meals with various people. Above, my favorite, is a spaghetti dinner cooked & served by a number of women at the aircraft factory where his plane is being renovated (including a new engine with the brand name "Ghibli" which happens to be the name of Miyazaki's film studio.) Fio, the granddaughter of the factory owner, who happens to be a very talented engineer and pilot, serves the spaghetti to her grandfather and Porco. attitude towards only being for himself, no ideals. Very different from the pigs that appear in "Spirited Away." bar and sings in French. Maybe I have never written about this classic filmmaker before. I don't know how that happened! I love studio Ghibli movies. My neighbour Totoro is a favourite. I've not seen this movie! It looks wonderful -- love the screen shots. Thanks!